I admit it. I’m guilty of telling anglers heading to Cedar Key to avoid these Big Bend backwaters. Of course, many of them are taking powerboats with them, and likely appreciate my advice after they see the structure there. 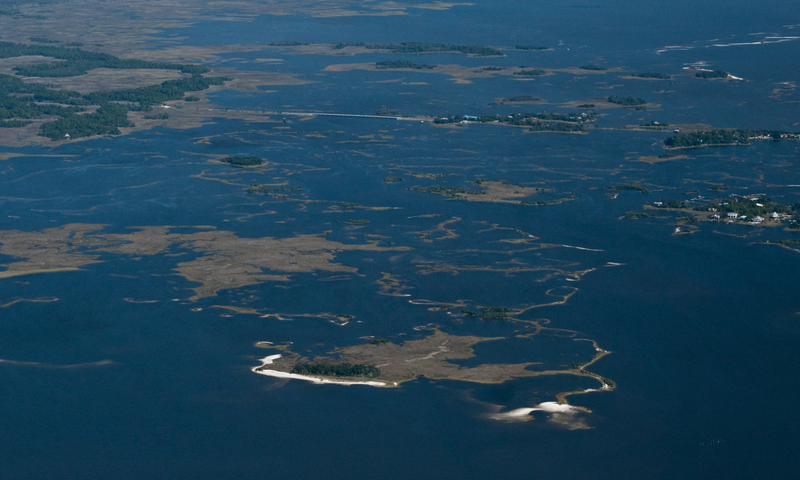 While Cedar Key is the name of the town that actually sits on Cedar Key and Way Key, the vast majority of fishable water flows through an archipelago of tiny unnamed islands between these islands and the mainland. Some of the islands are large and some are small, and for the most part they’re separated by only trickles of water at low tide. Not a situation you want to be in—unless you’re paddling. The islands here jut out into the Gulf of Mexico, making good fishing on both the west side and the east side of town. 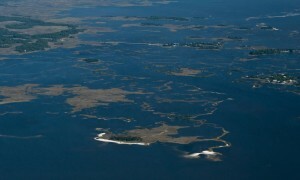 To the west, islands and bars face the Gulf and to the east, Waccasassa Bay. And with no shortage of improved and roadside launching spots, Cedar Key is one of the most paddler-friendly towns on Florida’s Big Bend. The best and most secure access to the backwaters is from any of the public ramps at the Number Four Channel and Shell Mound. The shallow backwaters at Cedar Key are an excellent spot for paddling anglers! The Number Four ramp is located adjacent to the FWC’s Marine Laboratory on SR24, just north of town. A walk down the fishing pier there and a quick scan of the waterway will give you a good idea of the structure of these backwaters, especially if you’re there at low tide. You’ll see oyster bars by the hundreds, each with the potential for holding inshore species such as spotted seatrout, redfish, black drum and flounder. After launching, and dependent of tidal flow and wind direction, you have several choices regarding where to fish. A two-mile paddle to the east will get you to the general area of bars named Corrigans Reef. Two miles to the northwest will put you in the middle of the islands near the mouth of Goose Creek and some excellent fishing. But I advise you don’t focus too hard on these destinations as you’ll likely find some fish before you reach either. Just look for jumping mullet or activity alongside bars or deeper sloughs and cast simple lures like MirrOlure Top Dogs or 3-inch D.O.A. shrimp. There are two ramps at Shell Mound, on the backwaters north of the town of Cedar Key. They’re easily reached by car from SR24, CR347 and CR326. One ramp is located at Shell Mound County Park and the other is at the beach at the end of CR326. The ramp at the park is a good choice if you’re interested in fishing the backwaters south of the Raleigh Islands (at approx. N29 13.027 W83 40.099) or east of Deer Island (at approx. N29 14.069 W83 40.543). Launch at the beach if you want an adventure at the “Tarpon Hole” behind Derrick Key (at approx. N29 11.353 W83 40.777). Or, make a left-hand U-turn from the beach and head up usually fishy and wind-protected Dennis Creek. Not every paddle angler enjoys the backwaters, especially if the winds are calm and the bugs are biting. If your fishing interest lies in fishing the flats or the shorelines of bigger islands, there’s good access from the beach at the City Park, where “Yakker Tom” rents kayaks at Kayak Cedar Keys (www.kayakcedarkeys.com) Atsena Otie Key is about a mile south of the park beach–a quick paddle and a good trip for those of you who’ve never tried kayak fishing. There, you’ll find some good flats to the island’s east, numerous oyster bars and even a backwater lagoon, accessible at higher water. Reaching the other southern islands (Snake Key, North Key and Seahorse Key) can be an arduous paddle, but often worth the effort. Lush grass flats surround each and their shorelines can be quite fishy.